Emily and I had a great day up on Mt. 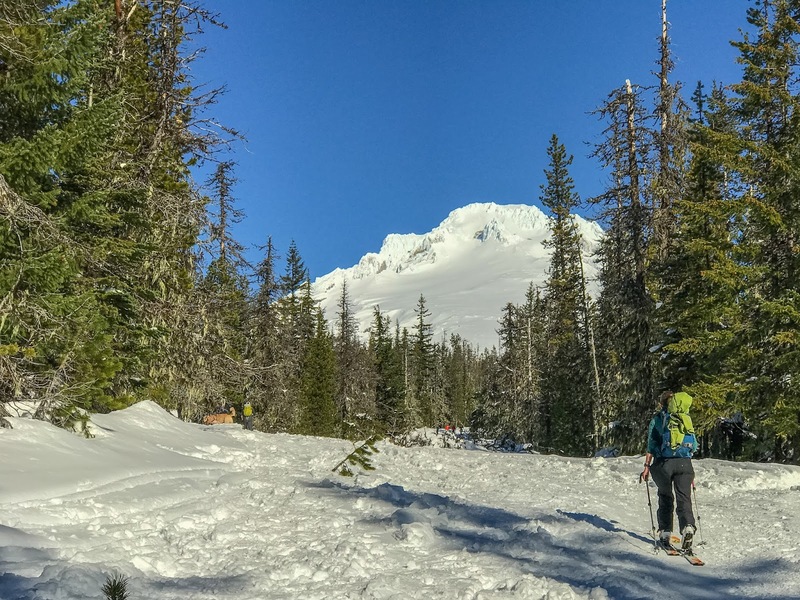 Hood skinning up the Glade Trail and down the Alpine Trail between Government Camp and Timberline Lodge. We left Leo home because we thought it would be too much for him but it was a mistake as the weather was great and he would have made it just fine. Emily and I didn’t buy season passes this year which was unfortunate as it was an epic winter on Mt. Hood and ‘Govy’ was buried! 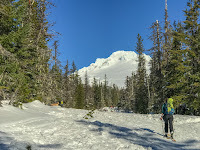 It was a beautiful, sunny day and we were able to skin up in t-shirts. 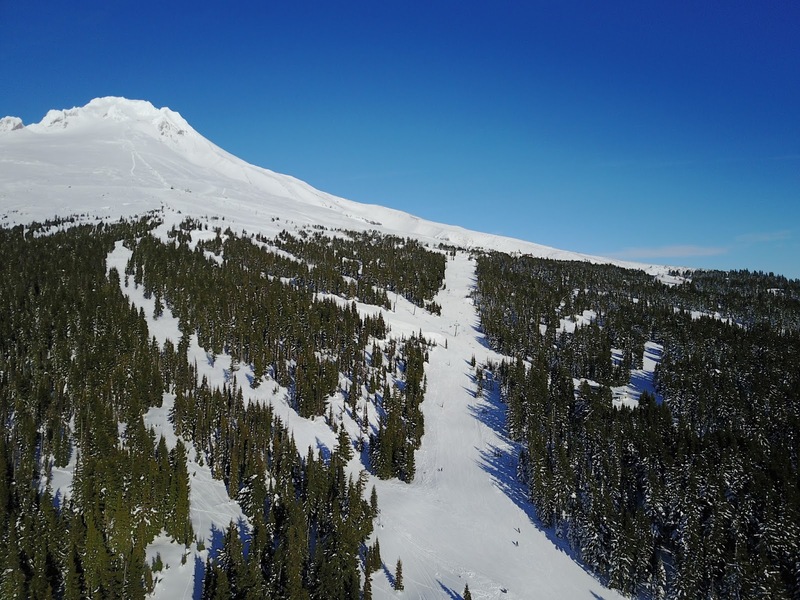 I got some great aerial shots of the mountain and skiers on the slopes of Timberline as well as some shots tracking Emily as she skied down before I was out of batteries. Great day!